Nurses continuously strive to improve the health of individuals and communities around the world. They need to acquire technical, scientific, and analytical know-how in order to provide sound and high quality care. Registered nurse schools in Utah present a broad, innovative and dynamic approach of study to prepare aspirants for a gratifying and lucrative career in nursing. It provides an outstanding learning atmosphere that is committed to offer the most recent and updated knowledge to the students. So, if you want to serve the society, here is a detailed description of various programs that can lead you towards a brilliant career in nursing. Are you going to apply in an RN school? If yes, first ensure that you meet the following requisites. The aspirant should attain the age of eighteen years. Every student should pass the drug test and criminal background check. S/he should own a high school diploma. Students should have excellent written and verbal communication skills in English. You must give a valid address proof and photo ID at the time of application. Submit level one finger clearance card. Clear the TEAS test, if the institute in which you are applying requires so. It is compulsory to submit all the necessary documents. A list of didactic nursing programs provided by the state of Utah is mentioned below. Associate Degree in Nursing: The coursework of an associate degree equips aspirants with the required expertise, skills and strategies to incorporate quality and safety into nursing care. The two-year program makes nurses amply versatile, so that, they could make appropriate decisions, think critically, and deliver quality services to culturally diverse patients. Bachelors of Science in Nursing: BSN is a four-year comprehensive program which provides learning experience in acute care, health care disparities, health promotion, global health nursing and health policy. The curriculum gives a strong foundation in sciences and liberal arts along with supervised clinical practices in a variety of settings. Accelerated BSN Degree: The accelerated BSN degree is a 16-month full-time program for students who hold a bachelor degree in a field other than nursing and desire to enter the healthcare sector through a fast paced course. LPN to RN: LPN to RN is an excellent option for licensed practical nurses who wish to pursue an advanced course. These programs assist LPNs, so that, they could acquire extra credentials in a very short time. The curriculum is a combination of profound theory as well as hands-on program. RN to BSN Program: RN to BSN pathway is created for working RNs who wish to make headway in their careers by obtaining a bachelor degree. This will enhance your mobility and marketability that leads to full utilization of your professional skills and talents. Graduates from above programs can take licensure exam, i.e. 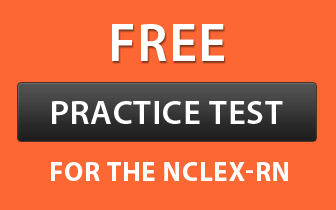 NCLEX-RN. Master of Science in Nursing: Master degree program gives you chance to explore an area of interest and specialize in the same. It enables one to develop professionally as well as personally and equips RNs with leadership skills in order to plan, analyze, execute, harmonize and evaluate health care, and formulate policies for a multicultural society. Doctor of Nursing Practices (DNP): DNP program develops masters in specialized advanced nursing practice and empowers the aspirants to respond to changes occurring in this field over time. The curriculum comprises of quantitative methods, data driven health care improvements, evidence based practice, and transformation of health care systems. The below mentioned institutes in Utah provide a wide range of nursing courses along with clinical experiences. All these colleges are accredited by the state.